Nearly 7 out of 10 Americans over the age of 65 will need long-term care. A study recently conducted by Genworth Financial found that more than half of all respondents stated that their greatest fear regarding long-term care was being a burden on their family. In fact, they reported to be five times more concerned about being a burden than dying. 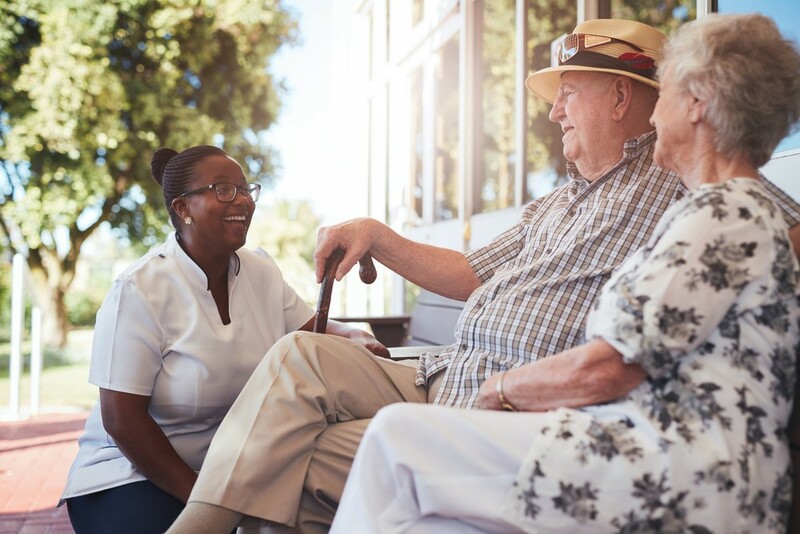 By being informed and recognizing the difference between independent-living and assisted-living options, it can help assist with making the right decision. Independent-living communities are very similar to apartment communities. The key word is “independent.” Life is simply easier for residents to enjoy, without the responsibilities of being a homeowner. Plus, residents are in a safe environment where assistance is available when needed. Residents live in apartment-style units that feature living areas, one or more bedrooms, and kitchen areas of various sizes. Residents can enjoy common areas where they gather or participate in activities.Communities, such as Regency Pointe, have monthly activity calendars filled with recreations and events. There is sure to be something for everyone’s particular interests and hobbies. Residents of independent-living communities have amenities and services included in their stay, such as dining, housekeeping, group activities, outings, and much more. Dining facilities are typically a mainstay of independent-living communities offering restaurant-style dining options with gourmet chef-prepared meals. While there is no dedicated full-time medical staff, they may offer physical therapists on an as-needed basis or part-time to help residents when necessary. Some communities take the amenities to another level by including movie theaters, small grocery stores, and even hair salons. Many residents of Regency Pointe take full advantage of the complimentary transportation and on-site hair salon. The term “assisted living” explains it all – this type of community is one where residents need assistance with their daily routines. Most residents have a health condition that significantly limits their abilities to function on their own in their day-to-day lives, causing them to require help from qualified professionals for anything from hygiene, to taking daily prescription medications, or even just simply getting around. It is common for a married couple to live in an assisted-living community when one of them has a chronic health condition and the other is unable to assist them on a level they need. Accommodations range from a smaller bedroom-style unit to larger apartments with a separate living area, bedroom, bathroom, and kitchen. In terms of amenities, assisted-living communities have an entire staff devoted to caring for those who live there. They provide housekeeping, laundry, meals, and most anything that a resident cannot do independently. Additionally, there are activities and outings in which the residents may participate in, if they choose to or can. With assisted living, there may be additional costs incurred along with monthly rent that cover the services needed for any added care giving support. Typically, people move to assisted living when they can no longer care for themselves. There are options to offset the cost, including VA benefits, Medicare, and other possibilities. It is important to note that assisted-living communities do not provide the level of care for those with severe dementia or Alzheimer’s but may have a separate section devoted to that level of care.This is usually called Memory Care. It is understandable how someone, who is unfamiliar with each type of senior living option, could get confused, but independent and assisted living are two entirely different categories. If a loved one is considering moving to an independent-living or assisted-living community, such as Regency Pointe Senior Living, he or she needs to know the difference -- read about them and learn about them – then pick the community and living option that best fits his or her needs.